This post is brought to you in association with RALF from DP Software and Services. I’ve used RALF for the past 7 years, and it’s my favourite RAJAR analysis tool. So I’m delighted to be able to bring you this analysis. For more details on RALF, contact Deryck Pritchard via this link or phone 07545 425677. Radio continues to remain pretty firm overall with marginal increases in reach and hours respectively. 89% of the population continue to listen to at least some radio every week, listening for a cumulative 1.017 billion hours – or 21.3 hours each. It has a reach of 2m for the first time ever, up 4.5% on last quarter’s previous record ever reach. This success is only slightly dampened by a slight decrease in hours, dropping nearly 9% from last quarter’s record performance. Previously everyone had been waiting for 6 Music to overtake Radio 3, but it to has climbed up to over 2m again. Radio 2 is on the rise again, with nearly 15.3m listeners (up 1.8% on the last quarter) and 181m hours. It’s not at record levels, but it’s certainly not doing too badly. Reach has remained broadly flat – down a fraction – while hours have done worse, falling 4.4%. This quarter saw the launch of Radio 1’s iPlayer channel – something that won’t be reflected in RAJAR. But multi-platform is clearly going to increasingly be more important at Radio 1, so the figures probably won’t tell the whole story. Nonetheless, amongst adults 15+, it’s slightly annoying that the average age of the station has crept back from 34 to 35 (not statistically significant – just annoying). One BBC station that didn’t do too well this quarter is Five Live. It saw it’s reach fall 3.4% on the quarter (and 10.7% on the year), while hours fells 9.5% on the quarter and 18.7% on the year. So what’s happened? Well I suspect it’s nearly all down to a massively changed schedule. As you may recall, at the end of the summer, Victoria Derbyshire, Shelagh Fogerty and Richard Bacon all left, meaning that daytime on Five Live was completely changed. We now have two shows instead of three with Peter Allan and Adrian Chiles sharing the reins during mornings, while Dan Walker and Sarah Brett are on in the afternoon. Allied to that, you’ve got a rejigged drivetime show, new evening shows, and a change at weekend breakfast. It’s as though the whole schedule has been ripped up. Listeners like consistency, and this has been a big change – even the jingle package is new. So I wouldn’t be alarmed yet, but it could well take a few quarters for the new team to bed in. Interestingly Talksport doesn’t seem to have profited from the change, losing a few percent itself. So perhaps some listeners have moved across to Radio 2 (we can never tell definitively from RAJAR since it’s not a panel). Radio 3 had a fairish quarter in reach as mentioned although it lost a few hours. The same was true for Radio 4. Radio 4 Extra had it’s biggest ever reach and hours results, up 5.6% in reach and nearly 20% in hours. The station stripped the podcast phenomenon Serial, over a couple of weeks at the end of last year. Did that help? Probably not on its own, no. In any case, RAJAR can’t identify that kind of programming. But nonetheless, whatever Radio 4 Extra is doing, it’d doing it right. 2m listeners (compared with nearly 11m for the main service) must be within reach. Absolute Radio had a disappointing set of numbers after last quarter’s fine achievement. As mentioned above, Talksport also had a disappointing quarter losing more than 10% of its hours. It remains over 3m in reach though. Classic FM had a good quarter for reach bouncing back to nearly 5.6m reach, although it lost a few hours. While LBC saw some decent growth in its second national quarter with 1.2m reach. Chris Evans saw his audience increase by 300,000 over the last quarter to a massive 9.6m. Not his highest ever, but pretty good. That means that 1 in 5 UK radio listeners tune in to Evans! It was a decent quarter for Nick Grimshaw, who saw his audience put on about 100,000 listeners to 5.9m. I suspect that Radio 1 will be please with that, and have something to build on. In London, it’s as tight as ever, with Capital losing its crown, in spite of a Jingle Bell Ball to plug. Kiss is the biggest commercial music service in terms of reach, while Heart is number one in hours. But there are some odd things happening in London. Capital lost 22% of its hours in one quarter, down to 8.5m hours – an all time low. Meanwhile Heart, which last quarter also had an all-time low, has bounced back in the most staggering way. It’s hours shot up 64% to zoom right into that number one slot. I’m afraid that we have to be really wary about London RAJAR figures and what they’re telling us. Some of Global’s stations have really bounced around in recent quarters. Magic has also had a very poor quarter this time around dropping 14% in hours and 10% in reach. LBC, on the other hand, has had some good results. Oh – and Xfm seems to have doubled its hours in a quarter. Buyer – literally – beware. Dave and Lisa are number one in London at breakfast, with Rickie, Melvin and Charlie just behind. Interestingly, if the Kiss breakfast was the same length as Capital’s, then it’d be number one. I want to write a little about younger listeners. Everyone knows that younger listeners are a problem, and here’s confirmation of that. If you look at the percentage of 15-24s who listen to the radio, then it’s not so terrible. Certainly it’s on a downward trend, but 85% of them listen to the radio at least some of the time. But if you look at how much they’re listening to the radio, then that’s where the problems begin. Note that I’ve tried to be really fair with these charts – they both start at zero. But the fact is that we’re down to an all-time low of 14.9 hours a week listened to on average by those who do listen (so that ignores those who’ve stopped listening altogether). The question programmers are going to have to face is that with competition from the internet, YouTube and Spotify, are our stations fit for purpose to compete against that? I always track carefully what digital listening is doing. We’re now up to 37.9% of listening being via a digital device, with 58.1% of radio listeners spending at least some of their time on the same. I note that internet listening has dropped back a little this quarter from 6.4% to 6.1%. 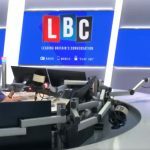 That’s probably a blip because the trend is certainly upwards for both it and DAB (and it’s fair to mention that LBC and Classic FM have just arrived on Freeview which could affect DTV in the future too – Freeview almost certainly being the most important digital television platform for radio). 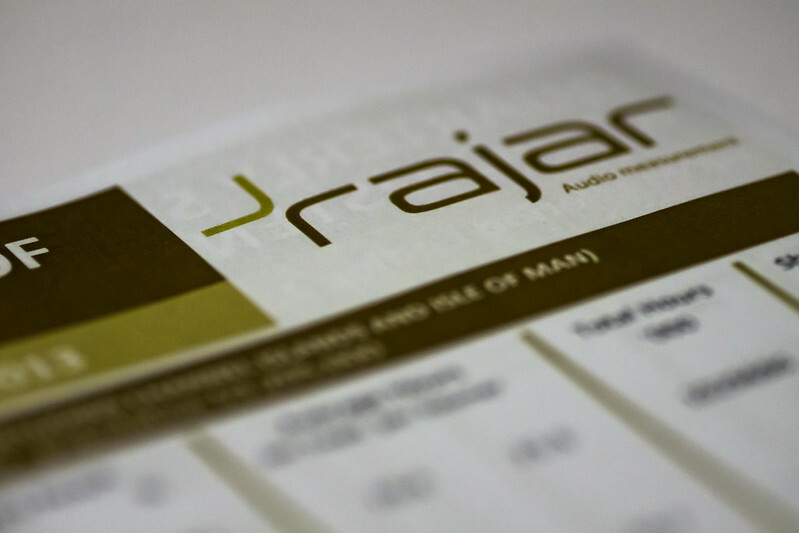 Stations have to pay to be measured by RAJAR, but not every service does pay. Examples include smaller local commercial services, community stations and internet services (both here and abroad). If you listen to one of these, then you fall into the “other radio” box. I just thought that it was worth showing that this listening is steadily growing. It might be the growth of community radio – recently receiving a boost from Ed Vaizey. Or it could be apps like TuneIn opening up more internet listening. But that’s listening that “traditional” radio isn’t getting, so it’s worth keeping an eye on. I also thought it might be interesting to have a look at the two power-houses of commercial radio and see how they stack up against one another. Global and Bauer dominate the commercial sector, and it’s also worth noting that they each sell advertising on behalf of others. But I’m just going to consider the stations that they own. I didn’t do these last quarter because I didn’t get time. But they’re back now! If it appears too small, use the larger version. Again, if it appears too small, click here. Source: RAJAR/Ipsos-MORI/RSMB, period ending 14 December 2014, Adults 15+. I never think that ‘Other’ is truly representative of ‘other’ listening, I imagine it does under count a bit. Especially as the in-RAJAR stations get prompted awareness, for ‘Other’ you have to be really keen, probably a P1 to remember to suggest it after you’ve just looked through a list of 50. As well as community/internet stations there’s also a decent number of digital stations that aren’t there. Fun Kids is obviously at the front of my mind, but also Team Rock, UCB etc. And you’re right that I neglected digital stations in my description above – although they’re all (?) online as well. But rather than the absolute values, it’s the trend that I think is important. In the medium term it’s a bit flat, but it has crept upwards.